Roxicodone is the trade name of the drug Oxycodone. Roxicodone addiction has surged amongst youth in the past five years. The street names for roxicodone are roxies or blues and a single pill can be sold from anywhere between $35 – $100. Oxycodone has been around for many years, in fact the semi-synthetic opiod was developed in 1916 in Germany. So as you can see, this is drug is nothing new but the rise of painkiller abuse in the 2000’s replaced alcohol and marijuana as the new drug of choice amongst American youth. The unregulated pain pill mills in Florida set it all off and were at the height of profitability from 2006 – 2009. In 2008, prescription painkiller overdoses killed 14,800 Americans and in 2009 37,485 Americans died from narcotics overdoses. Pill mills of pain clinics help fuel the roxicdone addiction that exists in American. Many of the first pill mills surfaced in South Florida with people driving and flying in from all over the nation to feed their habit. Pill mills work by setting up shop as a pain clinic that will prescribe medications for pain relief as long as the person has some for of doctor’s note that makes reference to a former injury or need for pain relief. If a client already has a prescription then that’s even more clearance for a pill mill to prescribe more of the medication. The prescriptions or documents from the client’s doctors pose as “paper trail” to protect themselves in case anyone starts asking questions. Another way to look at pill mills are drug dealers in scrubs. They are dangerous and can cause many people towards overdose. There is help available for roxicodone addiction and people don’t have to suffer alone. If you’re looking for an intervention for a loved, then give us a call at 1-844-299-0618 and we can help you with that process. Roxicodone addiction detox is available for people who need to detox and get clean from their Oxycodone abuse. 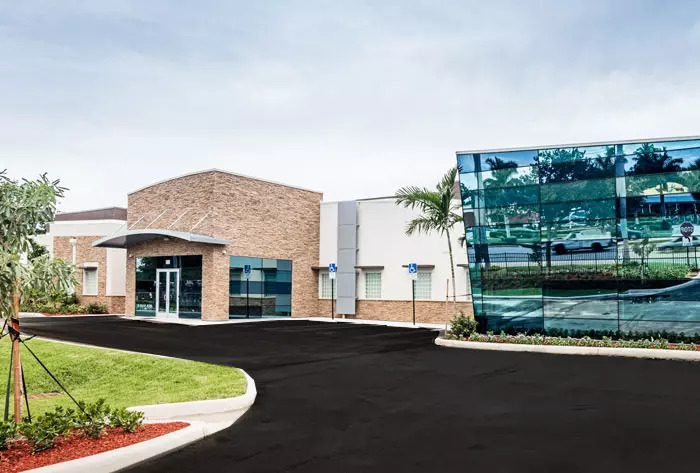 Roxicodone addiction detox is available at many south florida rehab centers and can lasts from 7-14 days. Roxicodone addiction detox is covered by most insurances and if you’re not sure make sure you give them a call or call us and we will look into it for you. Roxicodone addiction is not the taboo it once used to be, you can get help and not worry about suffering from the stigma of addiction. Nowadays, there are more treatment facilities and large recovery communities to help you with your needs. If you or someone you know is need of roxicodone addiction, please give us a call at 1-844-299-0618.